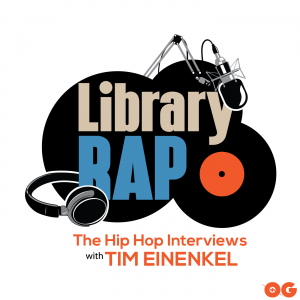 This week on The Library with Tim Einenkel, Tim sits down with Masta Ace and Marco Polo. Marco talks about moving to Brooklyn in 2001, Ace talks about his childhood in Brooklyn and how the borough has changed. They also discuss their new album, A Breukelen Story, Masta Ace holding on to a Marco Polo beat for more than 10 years, working with Pharoahe Monch, bringing old and new school hip hop generations together, responsibility of hip hop during a Trump Presidency, writing and beat making process and so much more.